The Ask Allie Podcast is the longest running spiritual podcast on iTunes with thirteen years and 600+ episodes!!! 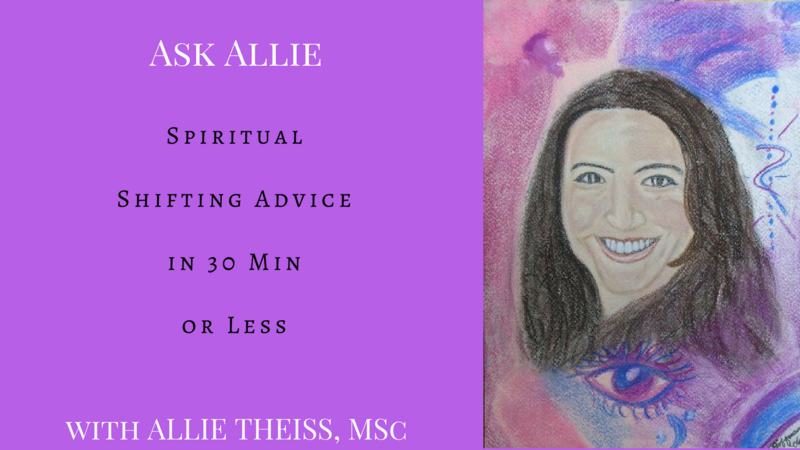 The Ask Allie Podcast was created back in 2003 to assure you that you’re not alone & to provide you with tips, tools, and advice to help you along your soul’s journey. Each episode is released on Monday and is chocked full of information with actionable items you can use today. You’re a busy person whose soul growth is important to you and the world – that’s why the episodes last anywhere from 14 to 30 min depending on the topic (and how many times the cats/dogs or the kid interrupt me). The podcast is unedited just like life – that’s why it’s life advice with a metaphysical twist. It’s a blessing that I have so many fantastic listeners – which is why Ask Allie has been a top podcast in iTunes for the last 13 years! Positive energy and love are always appreciated and openly welcomed. If the topics, information, and consistency of ASK ALLIE has become a part of your life, then I’d like you to consider supporting the podcast, by becoming a voluntary subscriber on Patreon. It takes around 90 minutes of work to make ONE episode of Ask Allie! That doesn’t take into account the music & editing I will be putting into the show. Each episode is around < 30 min and consists of a YouTube video, and an audio download (iTunes, Stitcher, GooglePlay, iHeartRadio, and direct download available). There will be a podcast episode every Monday and your pledge covers the whole month, not per episode.